If you want to be successful in show jumping, you need four basic components. These riding components include correct rider position, impulsion, relaxation, and confidence. If you are looking to increase your effectiveness on the jumps, there are a few exercises that you can try. This is a simple exercise to set up. You will place two small verticals on the opposite sides of a 20-meter circle. Your horse will need to canter over them. You should keep the horse bent as you jump around the circle. It is important to keep a steady rhythm as well. As you ride, you need to count the horse’s strides. This exercise may seem simple, but it can physically tax the horse. You can complete three to four circles before stopping to give the horse a break. You want to set up a gymnastic line along the rail. A cavaletti needs to be placed in front of a square oxer. The horse should start over the cavaletti and oxer with a forward cantor. 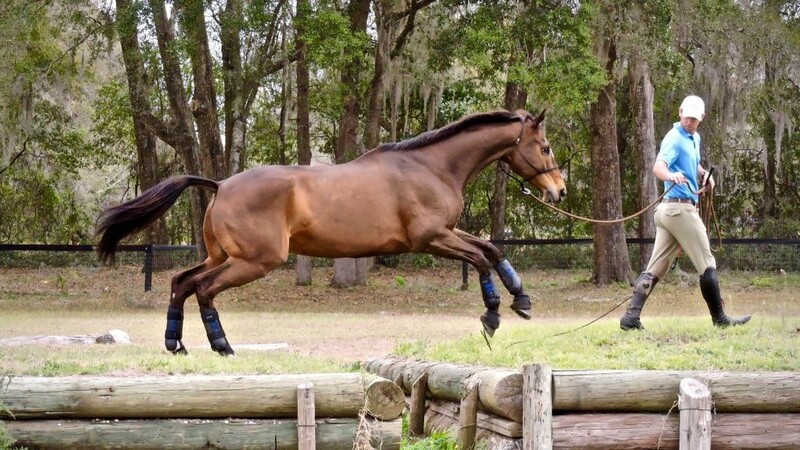 This exercise helps your horse to judge his jumps. It is important to not help the horse in the jump either. You need to let the horse naturally find his rhythm. As a rider, you need to keep your body in the correct position. Your legs should be in contact with the horse’s side but remain loose and elastic. This exercise will help your horse develop his balance and confidence. If you are looking to increase the horse’s footwork, you can add poles halfway between the jumps. The rider’s balance on the horse is developed with this exercise. You want to place the jumps on the centerline. As you ride the serpentine, you should concentrate on the horse’s cantor. It is important to be balanced in a forward position with the rhythm of the loop.